Independent publisher 505 Games and developer Giant Squid have announced their award-winning inspirational aquatic journey ABZÛ is now available for Nintendo Switch via the Nintendo eShop priced at $19.99 USD. ABZÛ is a beautiful underwater journey that immerses players in a vibrant ocean world full of mystery and bursting with colour and life. Playing as the Diver, you’ll discover hundreds of unique species based on real creatures and form a powerful connection with the abundant sea life. But this underwater world can be dangerous, broken and toxic – and your mission is to unlock the mysteries of the deep and change the world around you for the better. 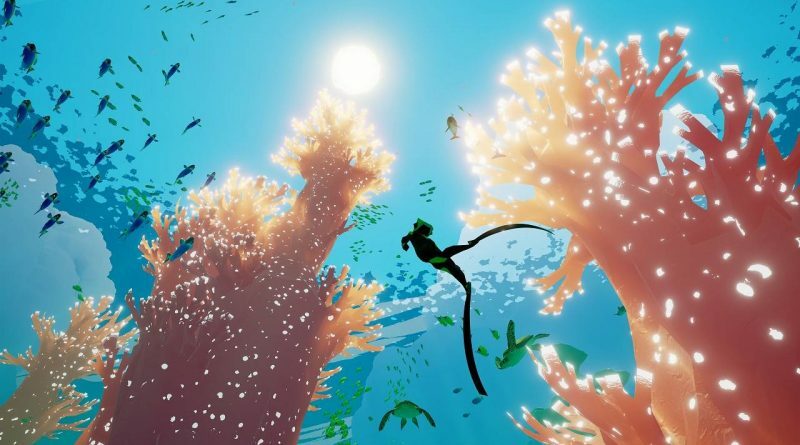 Developed by Giant Squid Studios – led by Matt Nava, the artistic mind behind Journey and Flower – and featuring a score by Grammy-nominated and two-time BAFTA-winning composer Austin Wintory, ABZÛ is told in the form of mythology and folklore, while capturing the dream-like feeling of underwater exploration. The name is derived from ancient Sumerian language; AB, meaning water, and ZÛ, meaning to know: ABZÛ is the ocean of wisdom.